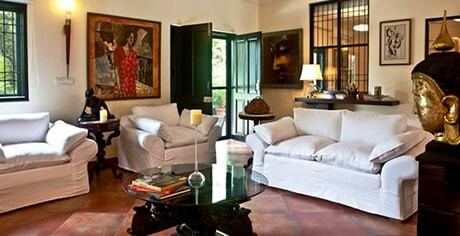 The location of this luxurious villa is unrivaled. 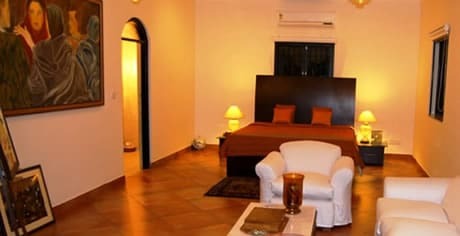 It is situated in the midst of Goa’s most vibrant tourist spot yet it retains its ambiance of peace and tranquility. 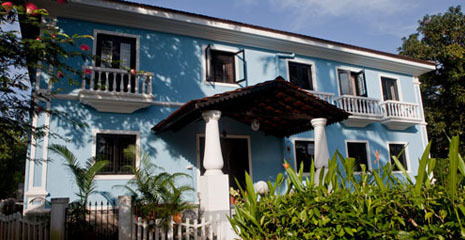 The villa is a gentle stroll from shopping centers and fine restaurants as well as 10 minutes from Candolim beach. The fully air conditioned villa with its ultra modern facilities and extensive collection of art and sculptures add to its charm as an ideal getaway all year round. Each of its 5 elegantly furnished ensuite bedrooms are airy and spacious and come with their own seating spaces and flat screen.